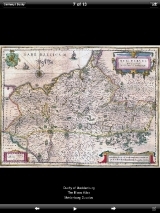 In this FULL VERSION, designed for the iPhone® and iPad®, you will find over 100 Maps of the Blaeu Atlas from 1662. 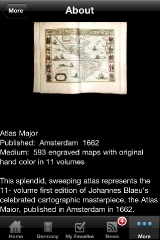 This splendid, sweeping atlas represents the 11- volume first edition of Johannes Blaeu’s celebrated cartographic masterpiece, the Atlas Maior, published in Amsterdam in 1662. 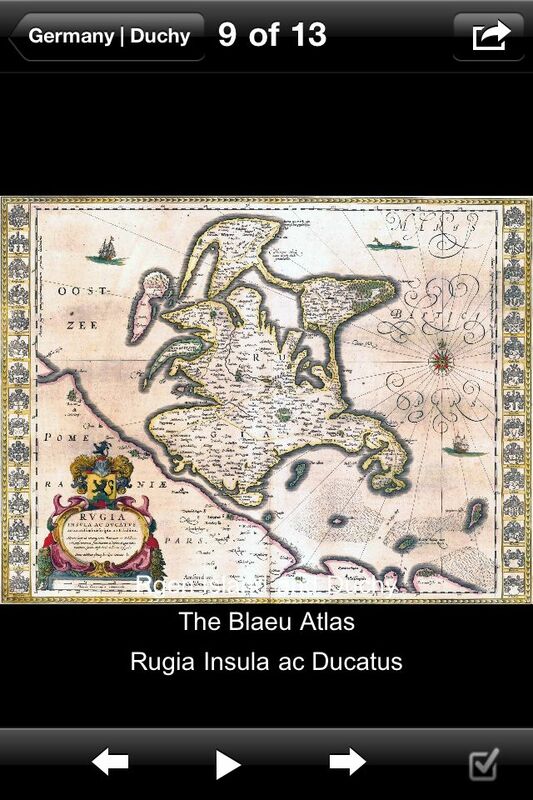 Blaeu’s Atlas Maior was the greatest atlas ever published, a landmark in the history of cartography. With different volumes devoted to specific parts of the world, Blaeu lavished meticulous attention and flawless detail on every corner of the globe. 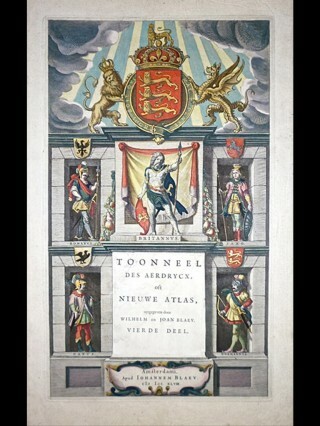 No other atlas ever published was as costly, or had such an exalted place in the society in which it was produced. 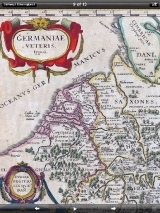 The Atlas Maior was such a symbol of status that it became the traditional state gift presented by the Dutch government, its prestige derived mainly from the remarkable standards of production involved. 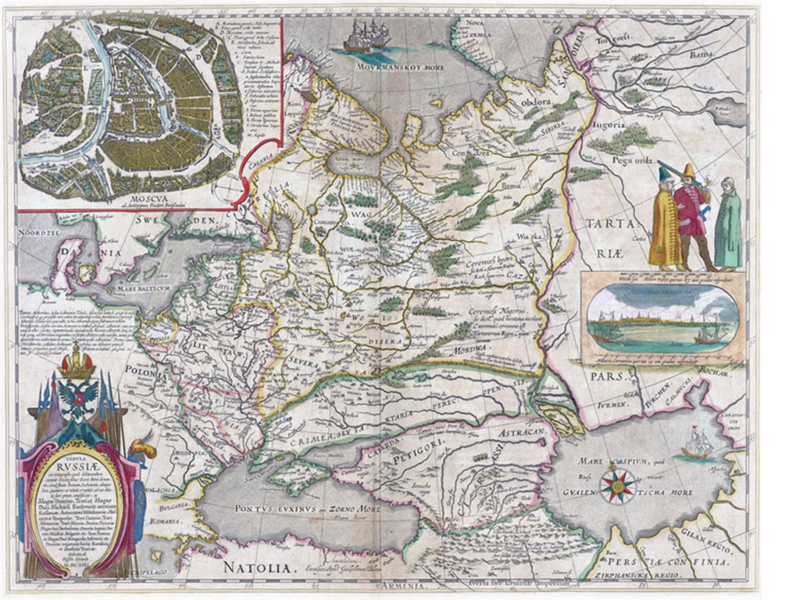 For quality of engraving, beauty of ornament, coloring, typography and paper, the atlas has never been surpassed, and the maps were on the forefront of geographical knowledge and discovery. 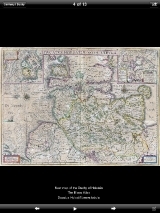 Provides access to most of the maps present in the Atlas Major, which allows the opportunity to understand the art of cartography, an art form on its own that really transcends across time. 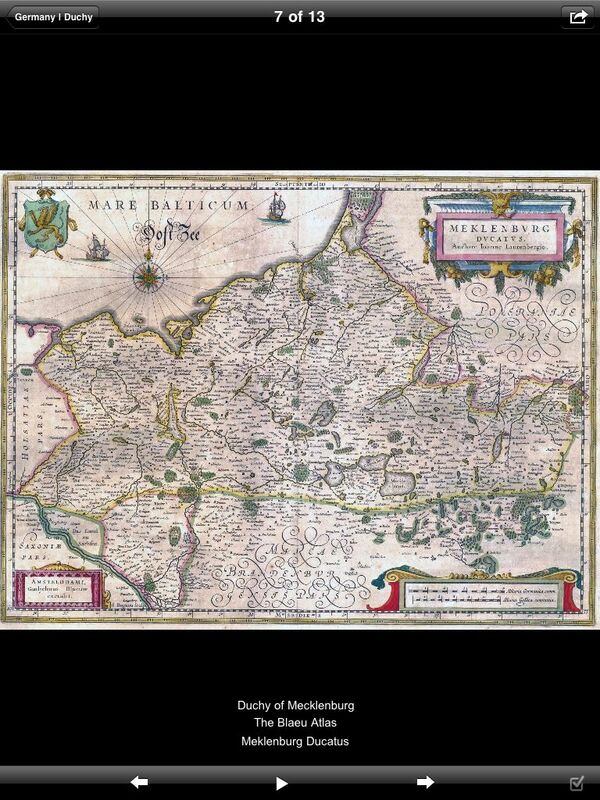 Fascinating app through which enjoy sections of The Blaeu Atlas in a very very cheap price. 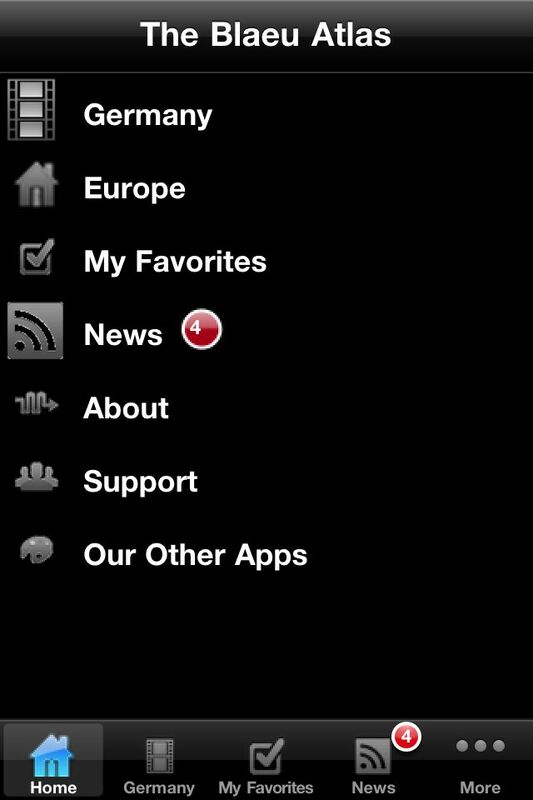 If this topic is one of interest, this app is just right for you! 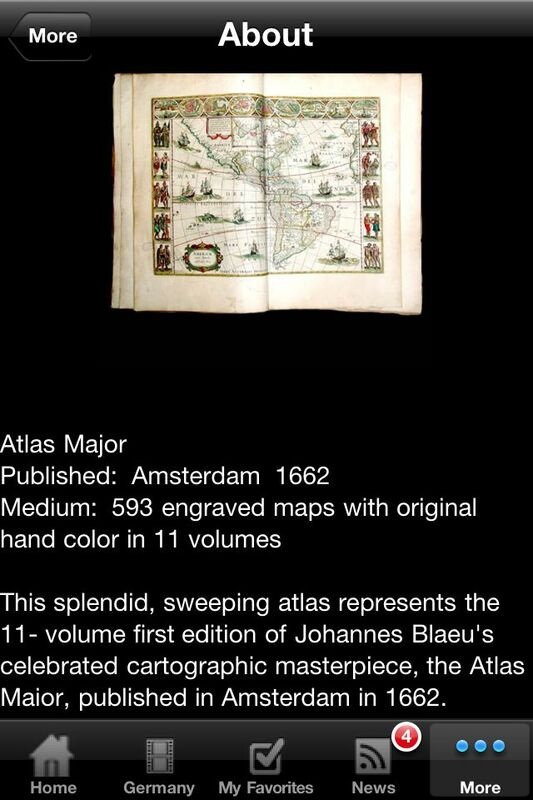 This app allows access to over 100 maps inside the Blaeu Atlas app, in an extremely convenient way. 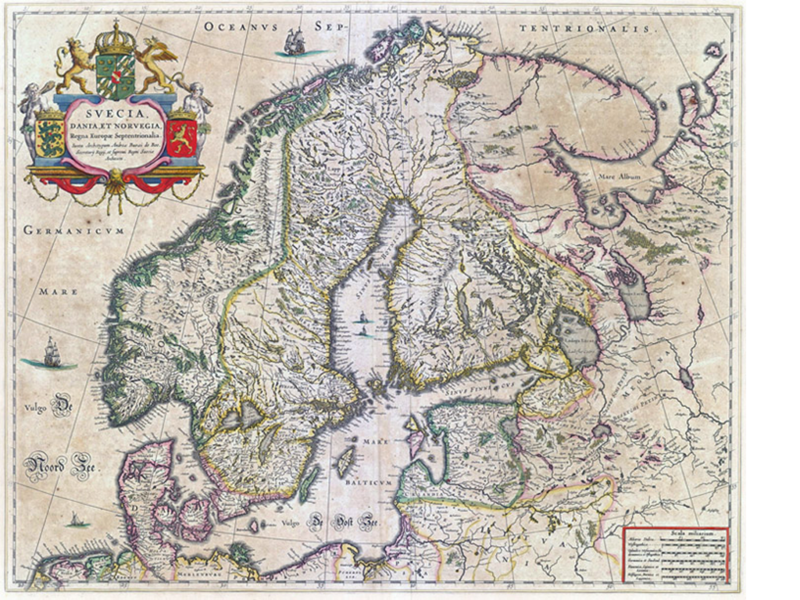 It is interesting to see how each curve and shape of the countries is precise and how the addition of elements makes the make the map more of a decorative piece. 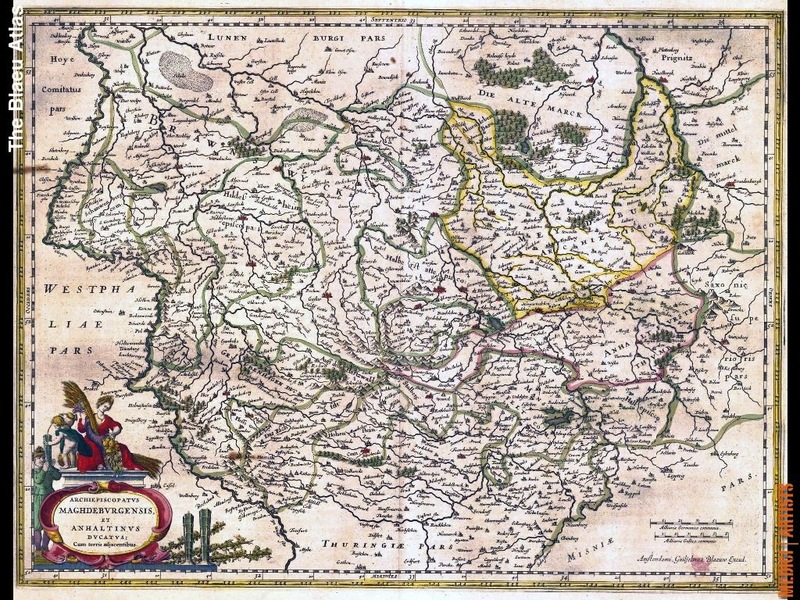 Great for research/teaching/presentations on a wonderful masterpiece! 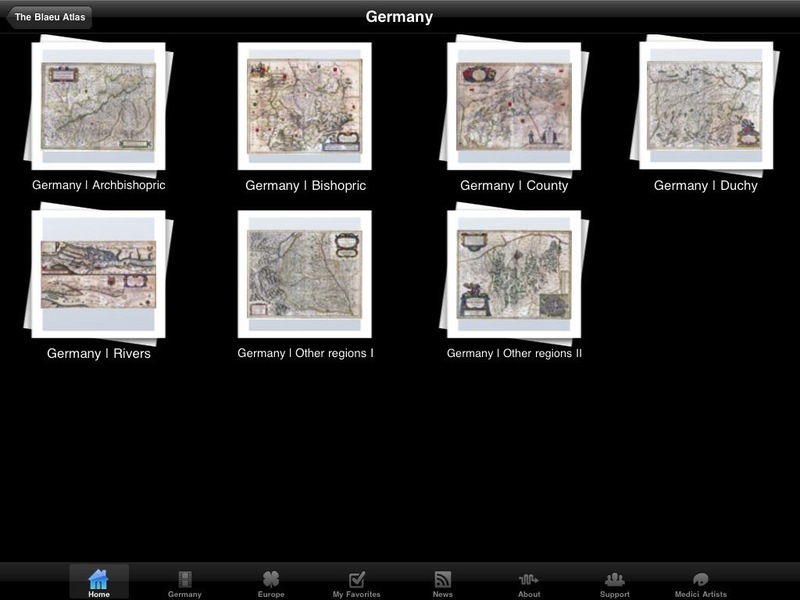 If maps are a passion and you are not interested in buying the book, this app is a great substitute. 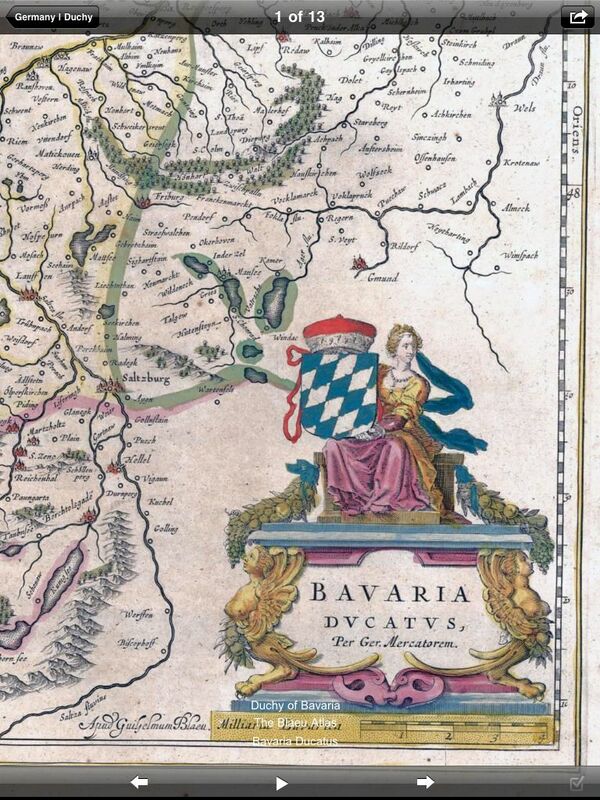 Access over 100 maps from the Blaeu Atlas, a recognized masterpiece to this time. 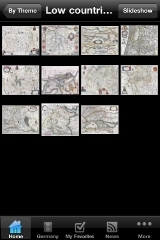 A pocket and virtual version for those interested in art, cartography or maps! 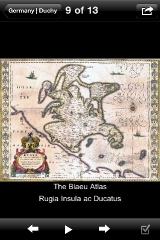 A great resource for those that don’t want to buy the copy of the book. It’s virtually the same thing, except easier and more convenient to carry around! 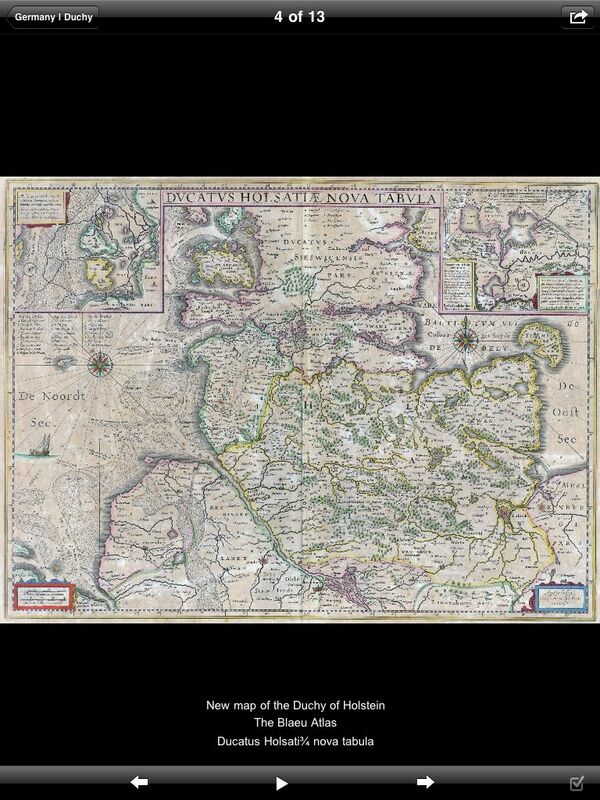 For those that have an interest in art and cartography, this app will be sure to be a hit. 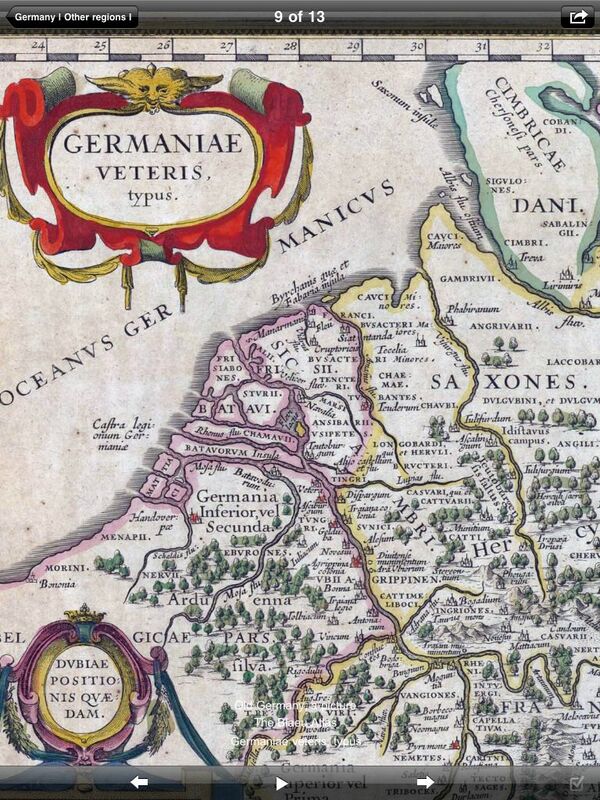 It is not anymore just about history or culture. 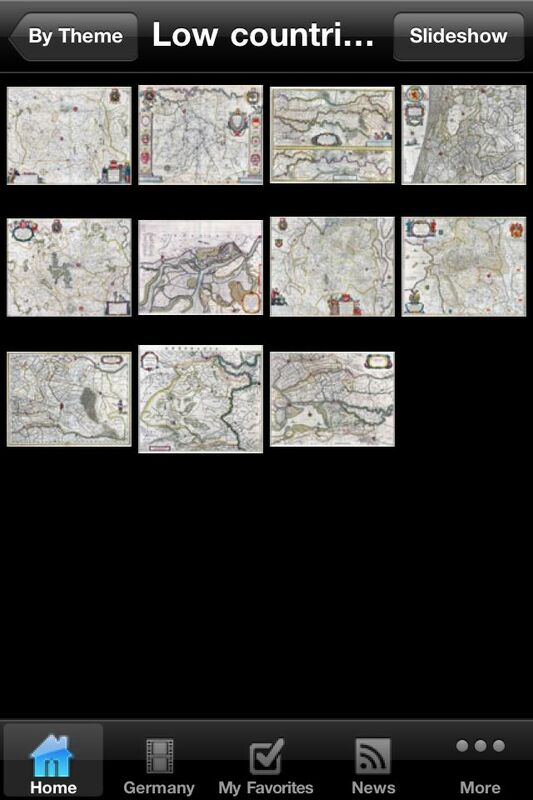 It is an art form on its own that really transcends across time! 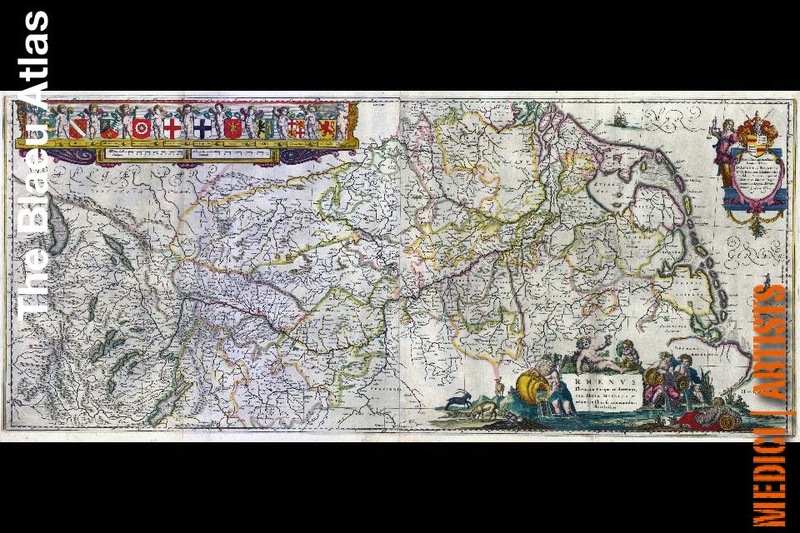 Through this app, you can access hundreds of images, all which are sure to be a hit with anyone interested in cartography or history. 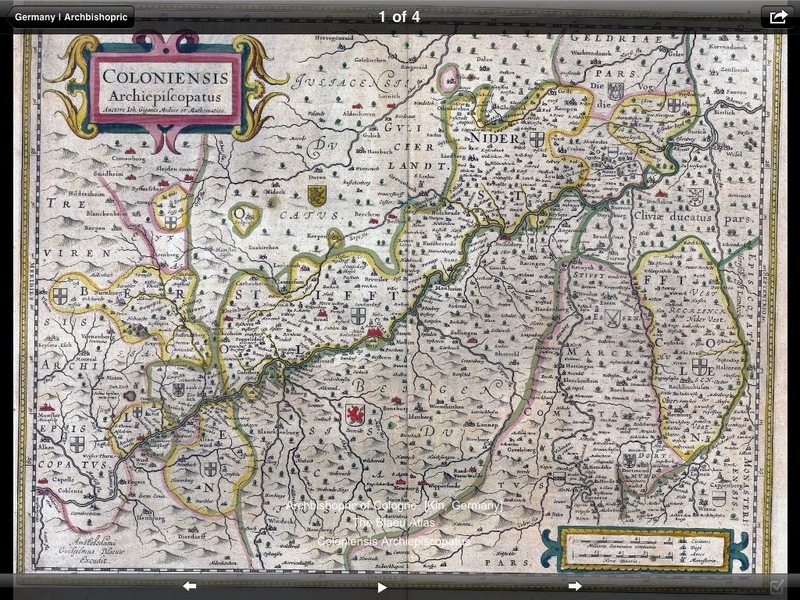 Every detail was made with precision and it is now easy to see that with the high resolution images for one’s Ipad/Iphone. It’s a great resource for any appropriate purpose! Leave a Reply to Deena H.